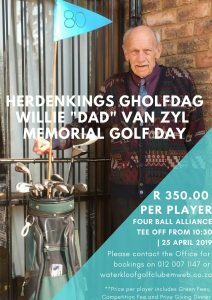 This entry was posted in Golf News on 15/03/2019 by Taryn Davel. It gives us great please in announcing our 2019 Senior and Super Senior IPT teams that have been selected to represent us at the upcoming IPT to be hosted at Wingate Park CC from 8 – 12 April 2019. We wish both teams the best of luck for the tournament ahead and hope to see both the trophies in our cabinet after the event! 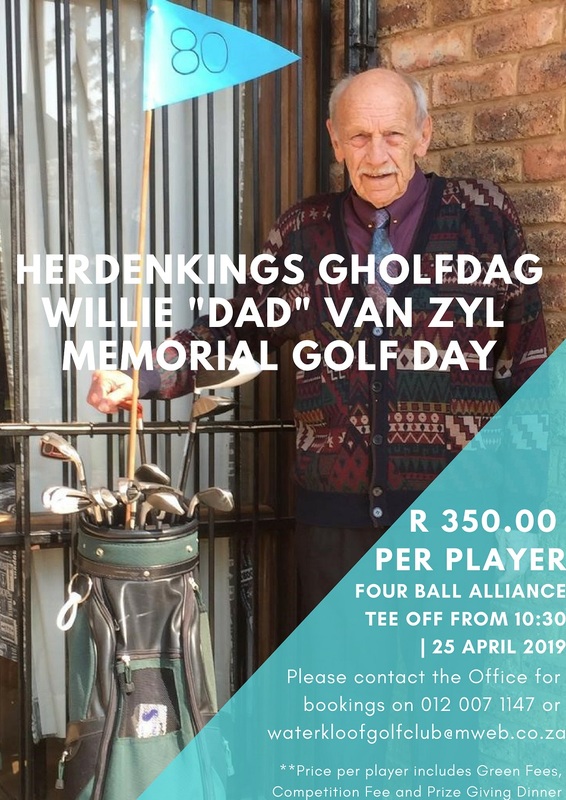 This entry was posted in Golf News on 06/03/2019 by Taryn Davel. 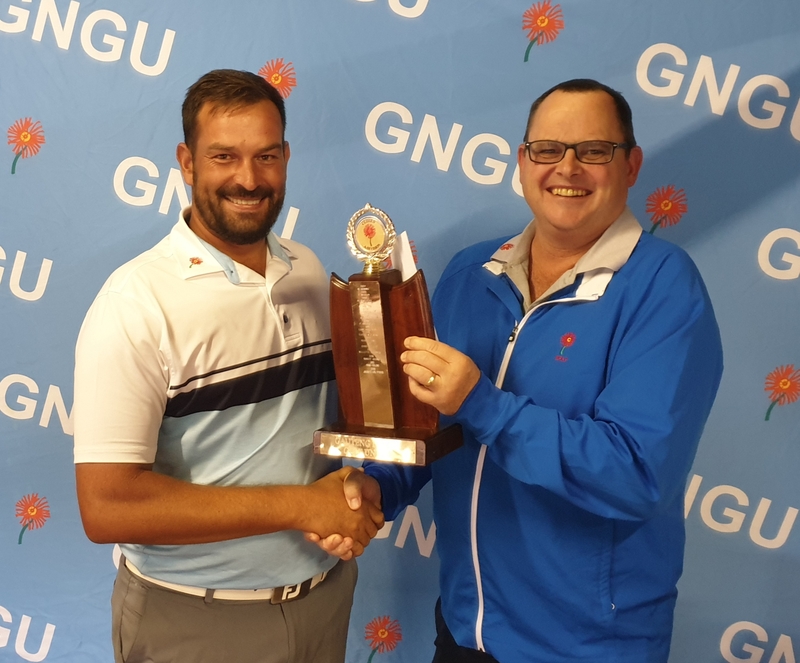 The 2019 GNGU Mid Amateur Open was held on 3 March at Waterkloof Golf Club. The course was in excellent condition and after the first 18 holes, Craig Collins, Dino De Abreu and Neil Rathmann had all shot 69 (-3) and with a pack of 7 only 3 or less off the pace, it was always going to be an exciting second round. Ryan Dreyer from Killarney Country Club managed a fantastic 68 in the second round, leaving him on 139 (-5) for the tournament and winning the trophy by 3 shots ahead of Waterkloof Golf Club’s Jacques van Tonder. Thank you to Waterkloof Golf Club, its Committee, Management, staff and members for giving up the course for the day and your fantastic hospitality. 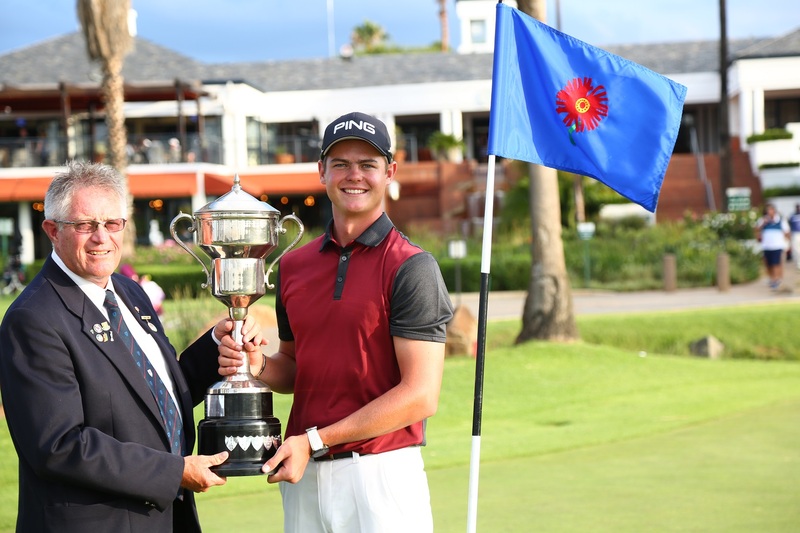 This entry was posted in Golf News on 03/03/2019 by Taryn Davel. 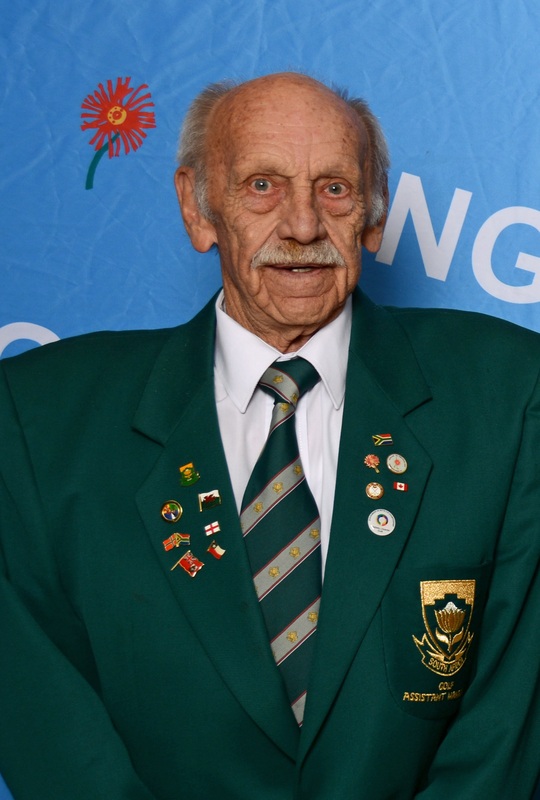 It is wi th a heavy heart that we heard the news of the passing of our Past President, Willie van Zyl. Oom Willie was a true ambassador and stalwart in the golf industry, giving much of his time to the Gauteng North Golf Union on the executive, the SAGA and in recent times working with the South African Golf Development Board. His contribution to the industry is unsurpassed and highly appreciated by all who worked with him. He will be sorely missed. 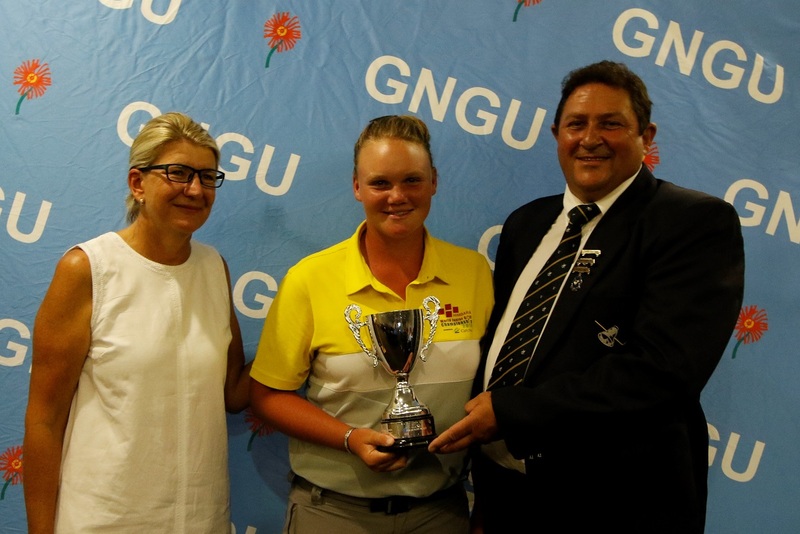 This entry was posted in Golf News on 22/02/2019 by Taryn Davel. The 2019 GNGU Nomads Junior Girls and GNGU Womens Mid Amateur & Senior Open was held at Woodhill CC on 10 February. A huge thank you to Nomads for your sponsorship to the Junior Girls Tournament. Pictured here is Rieks Tiley, Woodhill CC Lady Captain, with Junior Open winner Kiera Floyd and Nomads representative Christo Smit. 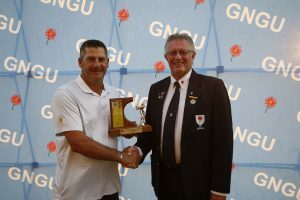 This entry was posted in Golf News on 11/02/2019 by Taryn Davel. The 2019 GNGU Open was hosted at Silver Lakes Golf Estate from 25 – 27 January. The tournament is a popular one on the National fixture list and with 180 players in the field it proved to be a highly competitive event. Casey Jarvis from Ekurhuleni topped the leader board after round 2 and kept his lead going into the final round. Free State’s Wilco Nienaber who was 5 behind Casey going into round 3, shot an incredible -17 in the last 27 holes to win take the trophy on -16, 3 ahead of Casey Jarvis, Anuerin Gounden and Garrick Higgo. Thank you to all participants and spectators for supporting this event. A huge thank you also to Silver Lakes members, Committee and staff – the course was in fantastic condition and the hospitality was great! This entry was posted in Golf News on 27/01/2019 by Taryn Davel.